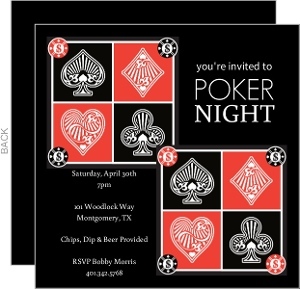 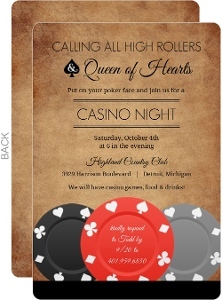 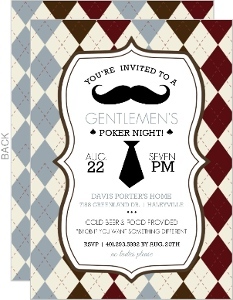 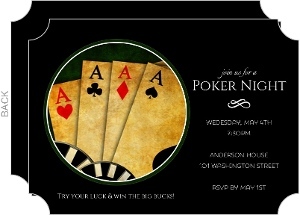 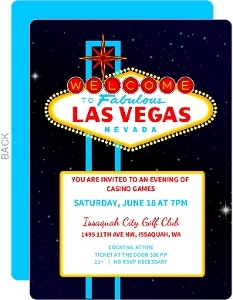 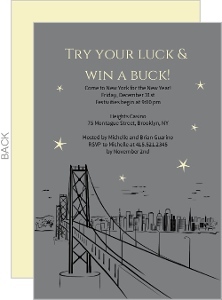 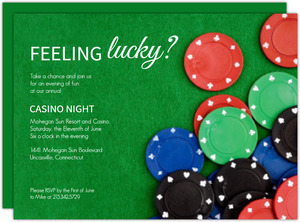 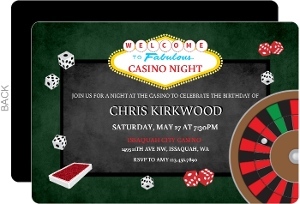 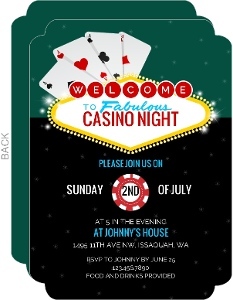 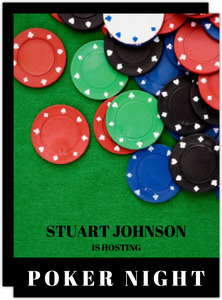 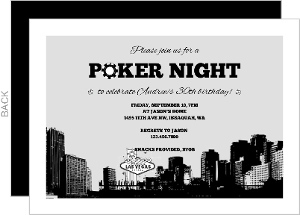 Sure, at first glance, who's gonna buy Poker Invitations? 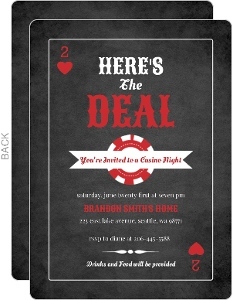 I mean it's a pretty low key event, probably doesn't warrant a card, right? 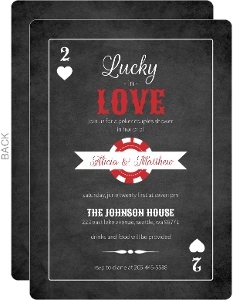 Well, what we found is that since so many events can have a casino or poker theme, why not create cards that can be made to match all of those with minimal effort. 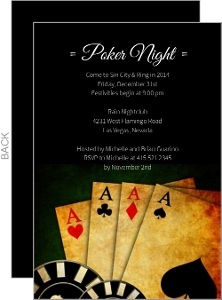 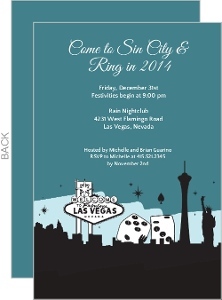 So if you're holding a casino night baby shower, or your anniversary is in Vegas, consider some of these cards. 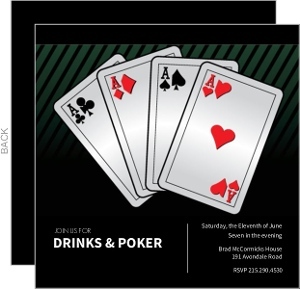 Poker invitations have more purposes that it might seem.